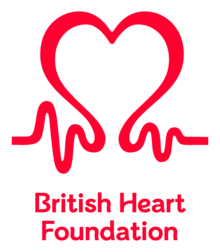 Amazon Web Services (AWS) and the British Heart Foundation (BHF) hosted a hackathon on January 22nd and February 5th. The hackathon provided AWS technologists and AWS Partner Network (APN) Partners with a collaborative opportunity to contribute to the greater good, innovating to solve some of the challenges the charity currently faces with its operations and objectives. Like many charities, the BHF is entirely reliant on the public’s generosity to fund its lifesaving research and receives no government funding. With around seven million people in the UK living with heart and circulatory diseases, all participants have made a valuable investment to the cause. “For the BHF to be able to tap into advanced technical skillsets from both AWS and the partner attendees is a huge win for us all. Historically, volunteering has often been looked at as what someone can help us with in a shop or at a fundraising event, but this was something out of the ordinary for us – focusing on the longer term benefit,” said Ursula Dolton, Director of IT at the BHF. The participants were presented with five problem statements by key BHF stakeholders, which allowed them to understand the broad impact the charity has on the quality of life and care they provide to the general public, and where they feel disruptive innovation may be beneficial to the charity. Teams were formed consisting of AWS experts, AWS partners, and BHF representatives, who collaborated to co-create innovative solutions to their chosen problem statement. Solutions ranged from mobile applications that digitize BHF’s content delivery, to a system that correlated CVD data using a wearable device, highlighting patient risks to individuals and medical professionals, to a workflow that offered cost savings and supply chain optimization around enhancing how BHF orders and distributes printed material. Participant ‘hackers’ from APN partners included teams from: Rackspace, Accenture, Arcus Global, BJSS, Capgemini, Cloudwick, and Fortinet. Closing out the event, BHF committed to taking winning teams on a tour of a BHF Laboratory in April, with a number of prototype projects also proposed following on from this initial hackathon event. The AWS team is committed to making this a more regular collaboration between our APN Partners and AWS customers. We will run a series of subsequent hackathons, backed by nonprofit challenge owners, similar to our annual Nonprofit Hackathon hosted at re:Invent. “The hackathon brought the skills, expertise, and innovation of both AWS and our AWS Partner Network (APN) to one of our European nonprofit customers – the British Heart Foundation – encouraging them to consider technology solutions to some of their key challenges. From artificial intelligence to voice technologies and serverless computing, we are excited to see how BHF and other nonprofits continue to use technology to make the world a better place. Thanks to all who participated,” said Max Peterson, VP of Worldwide Public Sector EMEA, Amazon Web Services. Watch this space for information about the next hackathon!